A 'near miss' between a passenger plane and a UFO near Manchester Airport is included in a number of secret files released by the government. The close encounter was officially reported by the flight crew of a Boeing 737 back in January 1995. The pilot and first officer of the plane described seeing a large grey object fly so close past the plane it made them duck. 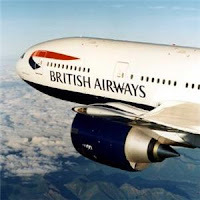 What makes this particular incident interesting is the credibility of the witnesses: the pilot and first officer of a British Airways aircraft who reported it as an 'air miss'.